Community Alert: SNOW SNOW SNOW! This is a picture of the train station above us. It's not even Monday night yet. BRR. A Warning is Issued for winter storms with sustained or frequent winds of 35 mph or higher with considerable falling and/or blowing snow that frequently reduces visibility to 1/4 of a mile or less. These conditions are expected to prevail for a minimum of 3 hours. A couple of weeks ago we wrote an article on some of our products and local perks. Here is a video of Mosad showing you around the Pharmacy. We want you to know that your needs are important to us and if you need a particular product, let us know. We can stock it for you on the regular. Just give us a call at 347-915-2828. Your friends at MG Pharmacy would like to wish you a Happy New Year! Here's a quick video from our building at the moment the NYC ball dropped. Have a healthy, prosperous and wonderful 2015. This has been a wonderful year and we owe it all to you. Thank You to our customers and Thank You to our community. We appreciate the opportunities you've given us and wish you nothing short of the best holiday ever. Please have a safe and enjoyable week. 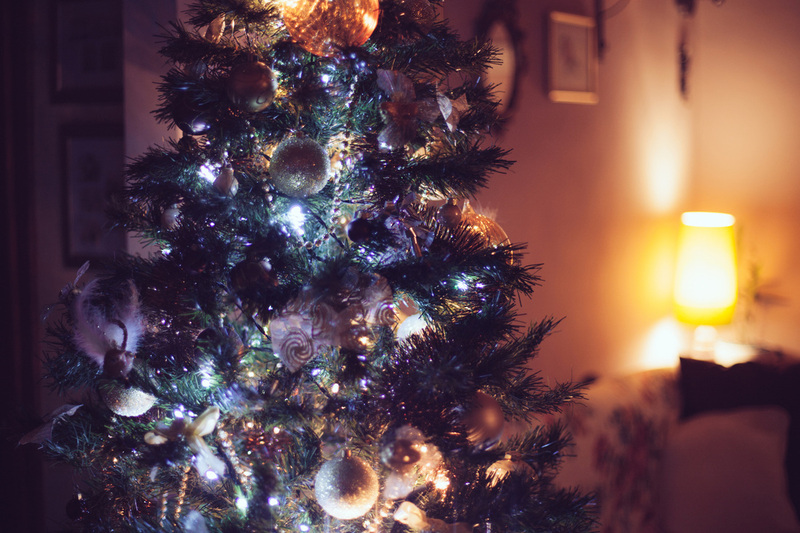 Merry Christmas and Happy Holidays from your friends at MG Pharmacy. Meet one of MG Pharmacist: Mosad. If you've been around our shop, you've probably met Mosad. Here, he answers some common questions about himself and the business. Here at MG Pharmacy we have been stocking up on some of the most important household items. We wanted to make sure that if you were passing by and needed something last minute for the house, we would have it. We are really happy to be by the JMZ Myrtle/Broadway Train Station. It makes life very convenient for both us and hopefully our customers. 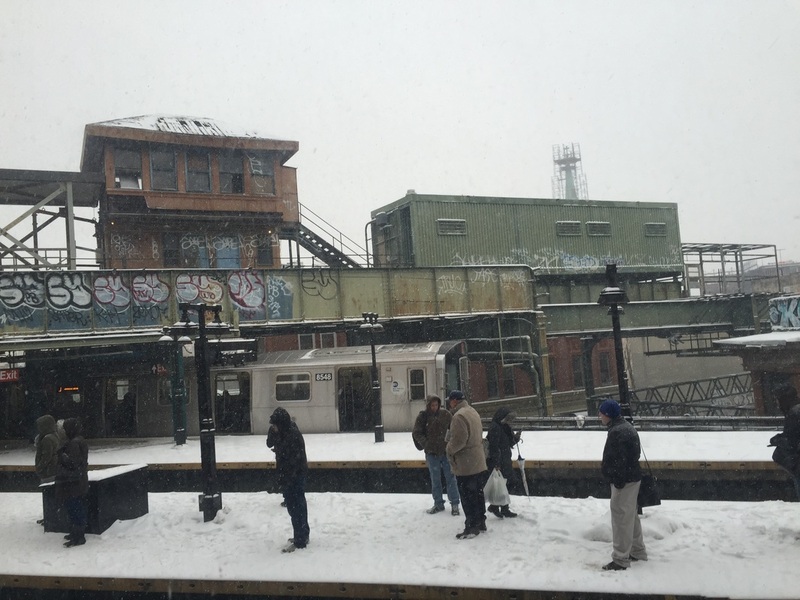 If you live over in Bushwick and are along the JMZ train line, call us or browse our site to see how we can be of service other than filling your prescription. If there's a certain product you like, but have trouble traveling into Manhattan (or other parts of Brooklyn) to get it, you can call us and request that we carry it. Most of the time we can get it in 1 Day! And we will carry it for you in the future. Another useful thing we can do for locals is offer you Printing, Faxing and Notary services. If you need a resume printed, a few pieces of paperwork faxed or a document notarized, MG Pharmacy can get that done for you. Call us in advance for details: 347-915-2828. Here's a video of MG Pharmacist Mossad, explaining some frequently asked questions on specialty drugs. Sometimes certain conditions warrant special medications, and this may answer a few of your preliminary concerns. We deeply respect privacy, so if you want to call and ask us any questions about your particular condition, you can feel safe that we will not share any of that information. It is our goal to help you and your doctor, start a reliable relationship with us, so that we may serve your needs in a timely and consistent manner. Please call us with any questions: 347-915-2828. 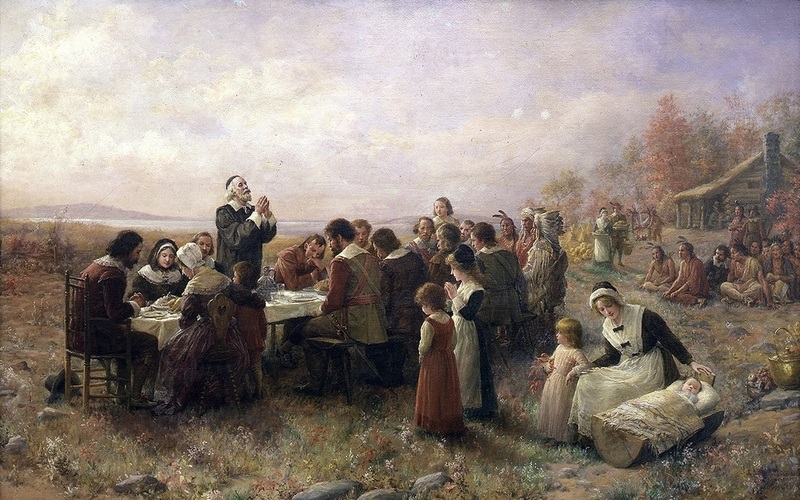 The First Thanksgiving at Plymouth, oil on canvas by Jennie Augusta Brownscombe (1914). We are truly blessed to be part of such a great community. Thanksgiving is a time for appreciating all of the good people in your life, and all of the wonderful things that have taken place in the previous year. Originally crafted in honor of a great harvest (presumably in 1621 celebration at Plymouth in present-day Massachusetts), we are more so celebrating the totality of the year. Unless of course, you actually have a farm, in which case we are indebted to you just the same. The “original” Thanksgiving has been labeled as somewhat of a poorly documented event, but there are two records that survive, describing the 3 day feast. ﻿"They began now to gather in the small harvest they had, and to fit up their houses and dwellings against winter, being all well recovered in health and strength and had all things in good plenty. For as some were thus employed in affairs abroad, others were exercised in fishing, about cod and bass and other fish, of which they took good store, of which every family had their portion. All the summer there was no want; and now began to come in store of fowl, as winter approached, of which this place did abound when they came first (but afterward decreased by degrees). And besides waterfowl there was great store of wild turkeys, of which they took many, besides venison, etc. Besides, they had about a peck a meal a week to a person, or now since harvest, Indian corn to the proportion. Which made many afterwards write so largely of their plenty here to their friends in England, which were not feigned but true reports." "Our harvest being gotten in, our governor sent four men on fowling, that so we might after a special manner rejoice together after we had gathered the fruits of our labor. They four in one day killed as much fowl as, with a little help beside, served the company almost a week. At which time, amongst other recreations, we exercised our arms, many of the Indians coming amongst us, and among the rest their greatest king Massasoit, with some ninety men, whom for three days we entertained and feasted, and they went out and killed five deer, which we brought to the plantation and bestowed on our governor, and upon the captain and others. And although it be not always so plentiful as it was at this time with us, yet by the goodness of God, we are so far from want that we often wish you partakers of our plenty." Some of these quotes have been the basis on which we have determined Turkey to be the fowl of choice. Or at least the origin of that tradition. Although Abraham Lincoln declared it a Federal Holiday in 1863, there are accounts of George Washington being the first to proclaim it a holiday. Each year (since 1989) our president gives an executive pardon to one special Turkey. This turkey is then ensured a life of freedom until it’s natural death. Benjamin Franklin originally wanted the national bird to be a turkey. Turkeys can actually have heart attacks and run at speeds close to 20 mph. Cranberries, although popular for sauce and dipping, originally were not eaten by the Native Americans. They were used for dying fabric and surfaces. Please take our sincerest thanks and gratitude for all that you have done this year. We are very proud to be part of the diverse community around us, and part of the United States Of America. 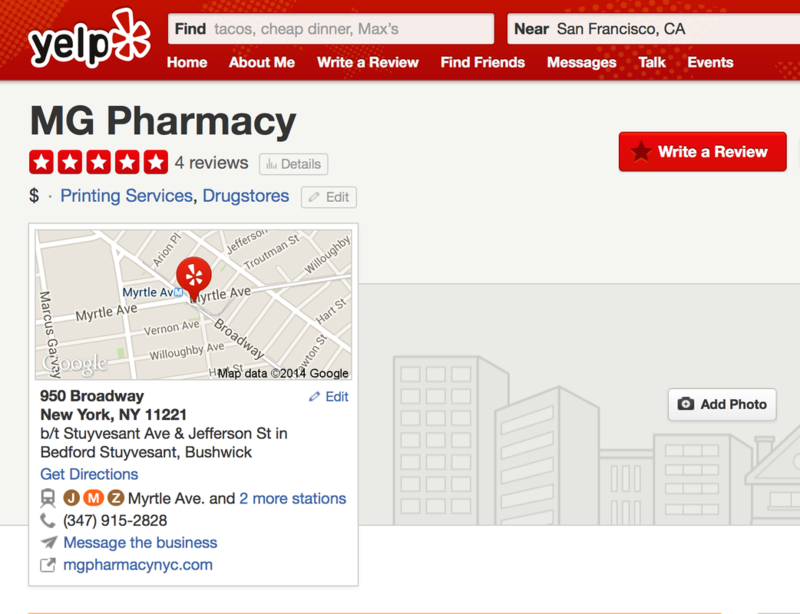 MG Pharmacy: We Have A 5 Star Yelp Rating! Thank you to all that have given us a review! We are proud to announce that our Yelp page is taking off! We really thank all of the people that have left us reviews. We currently have a 5 START rating. That makes us very happy that our customers feel like we are providing them with products and services that satisfy. If you have come our Pharmacy and for some reason have had an unsatisfactory experience, please call us and let us know: 347-915-2828. We really would feel terrible if you did not feel at home in our store. Let us know what we could have done better, or how we can improve. If you have come in and felt like we did an awesome job, one of the best ways to say thanks is to leave us a review and commentary on your experience. We would greatly appreciate that. So thank you again, for making this a great year for us. Please call us with any questions.